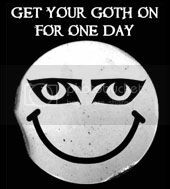 Vampires – those toothy denizens of darkness with their deathly-pale faces and hot-coal eyes and their craving for rich, warm, red blood – have been scaring hell out of people for centuries. Visions of abject terror – of satin-lined opera cloaks and polished black hair, of long twisty fingers beckoning beautiful virgins and turreted castles shrouded in mist and moonlight, of creaking coffins and garlic garlands, of flapping bats’ wings and stakes through the heart – have stirred the imaginations of millions through the ages. The review: This is an old anthology and, as well as being cheap second hand, I hoped there might be a rare tale or two in it. 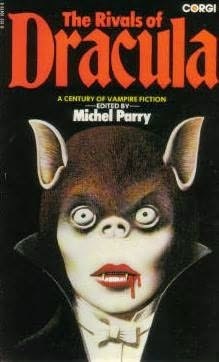 The introduction by Michel Parry is woefully out of date, it mentions a more definitive connection between Dracula and Vlad Ţepeş than there actually is, it mentions penny dreadful stories that have now been proven not to exist, it gets the authorship of Varney the Vampire wrong… but all of the above is simply a product of the time. The volume is thin and some of the stories are newer than I’d have liked – with the title Rivals of Dracula I was hoping for older or contemporary tales. The Anonymously penned the Mysterious Stranger is such a tale – translated from German into English in 1854. It is a marvellous tale and I should feature it as an interesting short at some point (in the meantime I do look at it in my volume The Media Vampire.) E & H Heron’s the Story of Baelbrow is from 1898 and is particularly interesting as it combines an Egyptian Mummy with vampire lore. The house is haunted by a ghost, vampiric in nature but non-corporeal until it is able to possess the mummy’s remains. Though thin, the stories are well chosen and there are some unusual entries in the collection that perhaps do not show up in every collection of shorts. 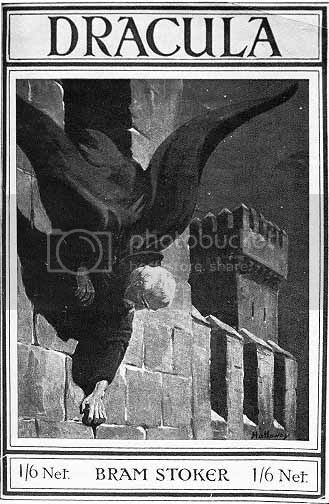 The legend on the cover declaring “A century of vampire fiction” was a misnomer, of course, as there was a story dated before 1877, as mentioned above. Worth having, however, and I love the manbat cover. 7 out of 10.
hi vampiergirls - not one that i've come across before but I'll start searching through.